The Zowie FK series (the FK1, FK2 and FK+) have been staples in the CS:GO world for quite some time now, with some really big names using it as their weapon of choice. 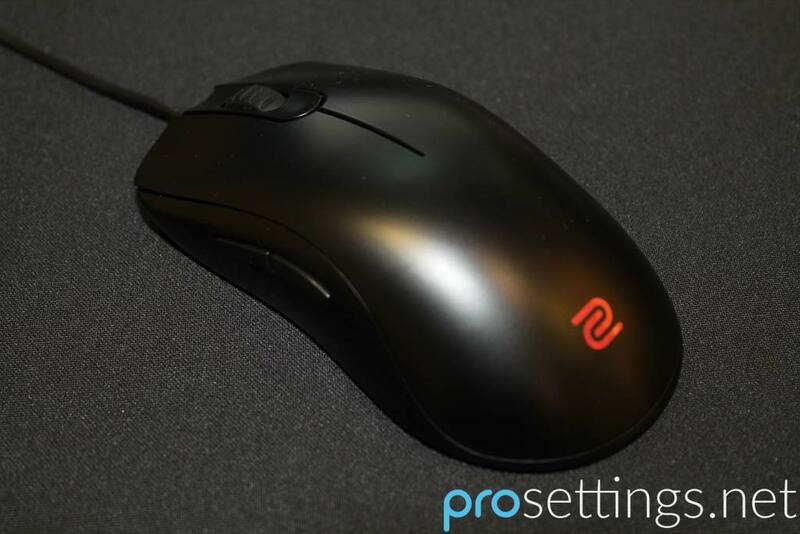 Zowie absolutely dominates the CSGO market when it comes to mice, so what we’re trying to find out with these reviews is whether or not that is justified. The FK series has been out for a while now and is a favorite among people who like ambidextrous mice, so we thought we’d send the FK1 (which is the middle ground model of the FK series in regards to size) to one of our reviewers to see if it still holds up today. 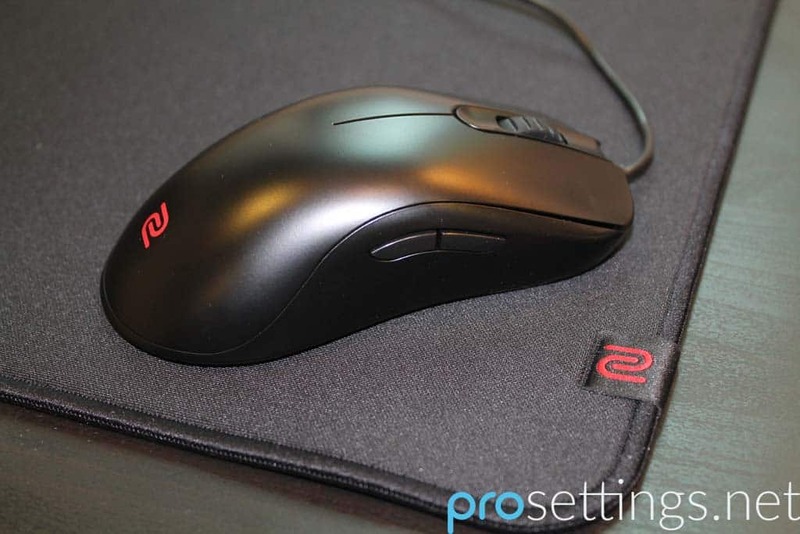 Read our full Zowie FK1 review to find out if it does. 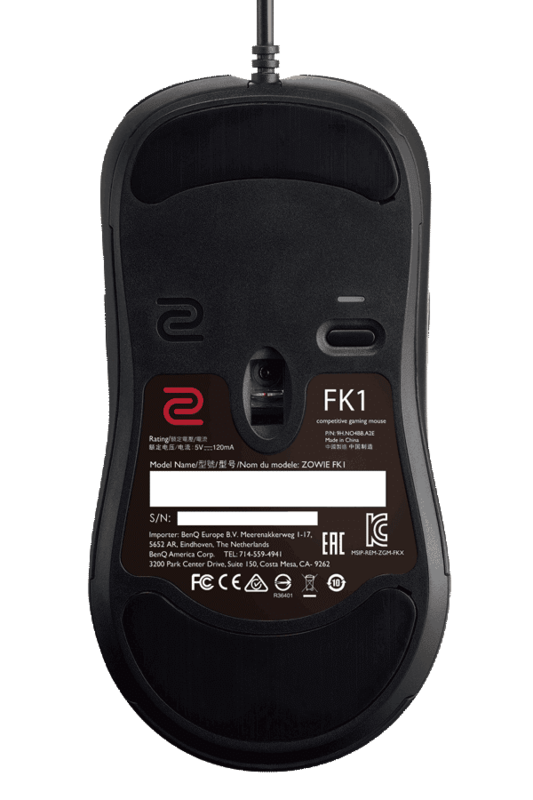 The FK1 features (as do all Zowie mice) a very discrete design. That’s all part of Zowie’s philosophy: you don’t need RGB lighting or fancy logos on your mouse in order to perform ingame. As with all Zowie products, the FK1 does not boast a bunch of RGB LED strips or a set of searchlights; it’s just a mouse with a matte black finish, a pretty small red Zowie logo on the back and a barely intelligible BenQ logo on the side towards the back. One of the most important considerations when deciding on a mouse is the mouse size and weight. The FK1 is considered “large size” in Zowie’s size categories, though it falls in the middle of the pack compared to other esports mice in my opinion. It’s worth it to note that the FK1 is the ‘medium sized’ mouse of the FK series, with larger and smaller versions also available. The FK1 weighs in at about 88 grams (3.1 ounces) which is pretty light for a mouse, though it doesn’t feel like they had to sacrifice anything in order to get to this weight. The packaging is obviously the least important aspect of a gaming mouse, but for the sake of being thorough I’m going to mention it anyway. The FK1 comes in a pretty unassuming, sleekly designed matte black box box. Open up said box and on the inside you will find the usual stuff (warranty card, manual, sticker, …) but you also get two spare mouse feet. Most companies do not include those spare mouse feet so that’s definitely a nice touch from Zowie, preventing you from having to go and buy new mouse feet if you ever tire these out. 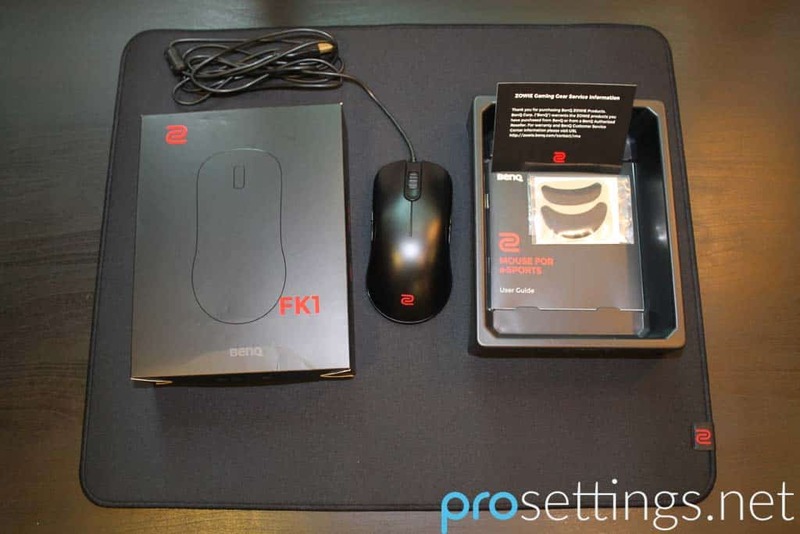 The FK1 is one of Zowie’s ambidextrous mice. It’s not formed to the shape of a certain hand, so left handed gamers will find this mouse to be as easy to pick up as right handed gamers. 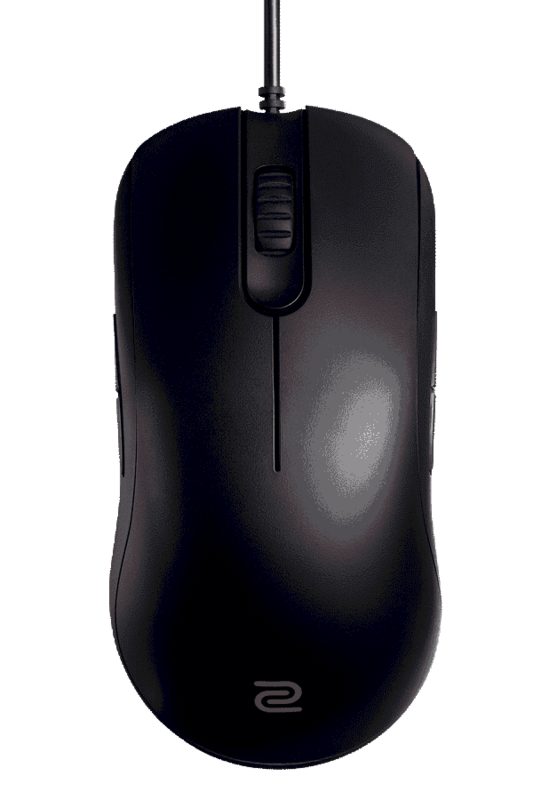 The FK1 sports a relatively flat design; there’s no real hump towards the back and the overall height of the mouse remains relatively low. This made it kind of awkward for me to go for a pure palm grip on this one, but since I am not that experienced with a palm grip this might be different for other gamers. I use a sort of hybrid between palm and fingertip grip, and while this mouse certainly took some getting used to I didn’t find it uncomfortable to use at all, even though it ‘forced me’ to alter my grip style a little bit. It’s kind of weird since I usually find it pretty annoying to get used to an ambidextrous mouse, but I had no real problems with this one. The side buttons are also placed so that they did not get in the way even once during my testing sessions. I never found myself accidentally clicking either set of side buttons so while the mouse is meant for both lefties and righties you will find that there have been no compromises design wise. By default the right side buttons are not activated, so even if you do accidentally press them it will not affect your gameplay or browsing session. The FK1 is finished in a matte, almost very slightly rubbery feeling finish. It’s not insanely grippy, nor is it slippery in any way, but rather it just does what it has to do, which is make sure you don’t accidentally toss your mouse against the wall when you’re trying to do a quick flick. The DPI button is located on the bottom of the mouse, which is done so that you cannot possibly activate it accidentally (which can make you lose a fight) though people who like to switch DPI on the fly will find this to be a bit of a strange design choice. 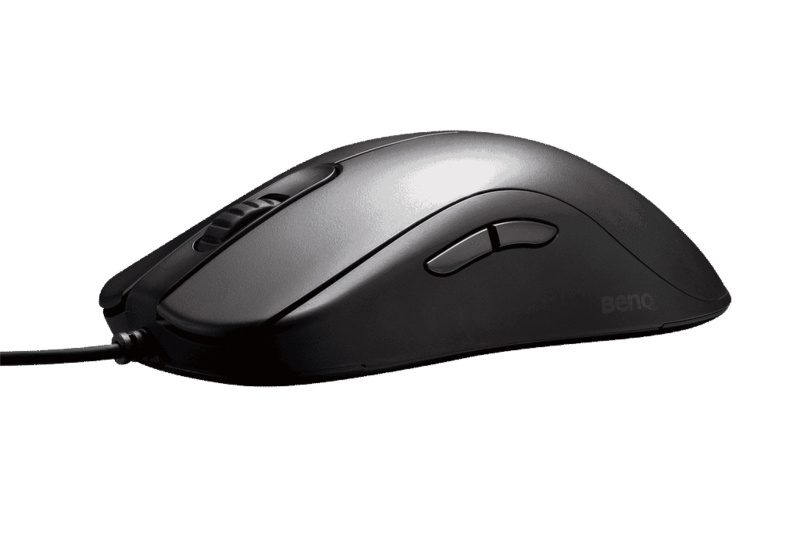 The FK1 has two large mouse feet on the bottom, which provide a smooth and rather controlled glide. 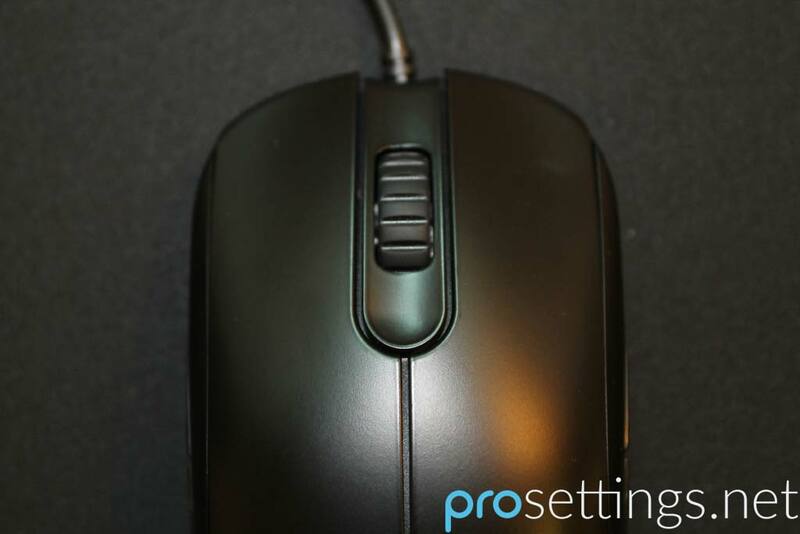 I play on a pretty low sensitivity so if a mouse has a tendency to ‘overshoot’ or is a bit sticky when swiping it around I tend to notice it pretty quickly, but I had no such issues with the FK1. On my pad (which is a Steelseries Qck Heavy) it was a breeze to use. The left and right click provide a crisp and satisfying click. The FK1 definitely doesn’t have the lightest clicks around, but for me they are perfectly fine. There is no insane travel distance or mushy feeling and thanks to their bit more rigid feeling I didn’t misclick once (something that I tend to do sometimes with mice with super light clicks) so as far as I’m concerned the clicks get full marks in regards to feel. There’s also no intelligible volume difference between both clicks, though the right mouse button does sound a bit different (a slight bit higher in pitch) than the left mouse button on my unit. To me that’s absolutely not an issue, but I thought I’d mention it. The scroll wheel also feels pretty good. It’s a bit more defined in its steps than on some other mice, but I found it to be very pleasant to use, as well as discrete in the volume department. You can definitely hear the scroll wheel when you’re using it, as is the case with most wheels, but it’s not an annoying or loud sound at all. The side buttons (I tested both sets, though I am obviously not a left handed gamer so I didn’t get to test the ones on the right in a gaming environment) have little travel time and provide a nice and clear click. It’s pretty rare that I am completely satisfied with an entire ‘set of clicks’ on a mouse, since usually there’s always one button (scroll wheel button, side buttons, …) that is blatantly worse than others, be it due to QC issues or just straight up design flaws, but the buttons and scroll on the FK1 that I reviewed were thoroughly pleasant and satisfying across the board. Gaming mice have to be able to stand up to hours of (ab)use so I like to give the mice that I am testing a few slams on the table as well as some shakes and squeezes. To me there is nothing more annoying than feeling or hearing something loose inside a gaming mouse, so I’m happy to report that the only loud and annoying thing to be heard during my ingame testing was me. Zowie uses a rather thin and flexible rubber cable, so even if you don’t own a mouse bungee it stays out of your way pretty easily. The cable (which is 2 m / 6.6 ft long) on Zowie mice is always a plus for me, since I’m no fan of braided or heavy cables, and it’s no different on the FK1. I still have no idea why some companies prefer to use very thick or braided (or even worse: both) cables so the cable on Zowie mice is really a big plus for me personally. The FK1 uses an Avago 3310, which isn’t the newest kid on the block by any means, but that doesn’t mean that it’s somehow unreliable. I tested the sensor in Paint (to check for smoothing and other shenanigans), Overwatch, Aim Hero, and a bunch of other games and also used it for browsing and I never got it to mess up. While it is technically possible to make a 3310 spin out it happens so rarely (you need to hold your mouse at a specific angle and swipe it to make it happen) that it might as well not be a factor. I have personally used 3310s for years and I never encountered an issue with it, and neither did many other gamers I know. If you happen to like the shape or the premise of a mouse with a 3310 I’d encourage you to take that mouse into account, and the same goes for the FK1. Finding the perfect mouse is much like finding the perfect running shoe. It might have all the newest technology, but if it doesn’t perfectly fit your feet (or hand, in this case) it’s not going to be right for you. The FK1 sports an ambidextrous design, which will accommodate a wide variety of grip types due to its non-shaped exterior and relatively safe design. Zowie’s mice are specifically designed for flexible use, with shape and ergonomic use being key focus points while playing. I use a mixture of palm and fingertip grip while playing and I had no issues holding the mouse in various ways. It did kind of ‘force me’ to move away from my regular grip due to its low back design, but for me that was no issue. Aside from that though, the FK1 had a very short break in time, even for a someone who likes ergonomic mice like myself. It’s an ambidextrous mouse, but that doesn’t make it any less comfortable. 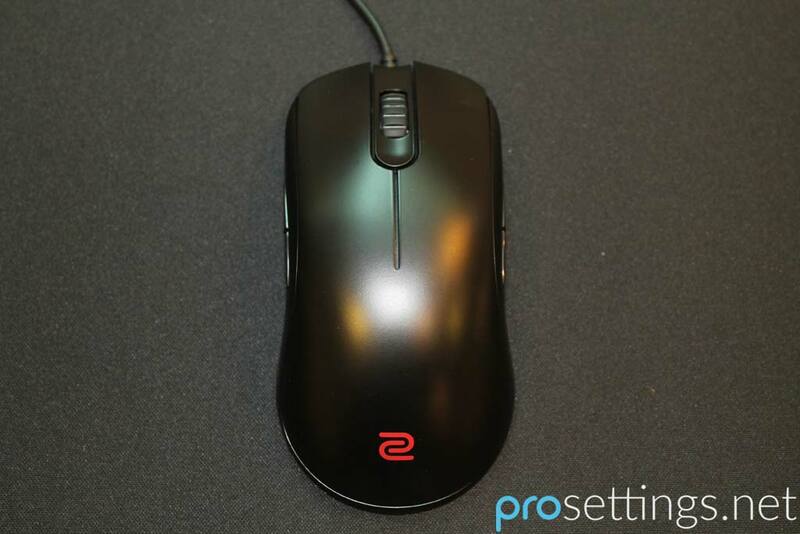 As is Zowie tradition it seems like every little indentation or bump in the design of the shell has been thought about for many, many hours, and you definitely reap the benefits of that when you’re using this mouse. Even though the FK1 isn’t ergonomically shaped and thus has a more neutral shape as opposed to something like (for example) the EC series or the G403 I still found the mouse very comfortable ingame. With some ambidextrous mice I notice some cramping if I’m really getting into an aim intensive game, but I had no such issues with the FK1. That’s partially due to the fact that the mouse is about right for me sizewise, but credit also needs to be given to the design of the mouse in my opinion. Due to its pretty light weight it could be misconstrued for a very fast mouse, but the design of the pretty large mouse feet ensured that I still had enough control over my movements and almost never overshot after I had gotten used to the mouse itself. When I’m playing intensive games my hands tend to get a bit sweaty, and with some mouse coatings (super glossy ones, for example) this can be a problem. The matte finish of the FK1 held up just fine though. For me it remained easy to grip all throughout the review process and it also didn’t easily pick up smudges or dirt or anything like that. All in all I performed admirably with the FK1. Because of its smaller and lighter form factor (at least compared to the G403 I used on a daily basis) I initially tended to overshoot some of my targets, but once I got used to the mouse (which didn’t take very long at all, to my mild surprise) the only one to blame for missing easy shots was me. The FK series of mice is still pretty popular, and as with all Zowie mice that’s in no small part due to its shape and overall feel. I am not a huge fan of ambidextrous mice, but I have to say that I got used to this one pretty easily and I didn’t mind using it ingame at all. The shape really does feel very satisfying to play with and although the pretty flat design kind of made me change my grip style a little I didn’t mind it at all and it also didn’t impact my performance. The FK1 is marketed as also being a palm grip mouse, but I don’t know if I agree with that. I don’t full palm my mice, so I might not have a lot of experience with this grip style, but I couldn’t quite see myself palm gripping it for an extended period of time due to it being a pretty low design, though I usually use ergonomic and pretty high mice, so your mileage may vary. For fingertip, claw, and hybrid grips this mouse fits like a glove though. The performance was also top notch. I didn’t get any smoothing or tracking issues, the sensor didn’t spin out, the buttons felt completely fine all the way through, … The mouse also didn’t feel icky or annoying after a few hours of use. It’s a really good piece of equipment and I encourage everyone who is in the market for a new mouse to take a good, long look at this one, even if you would normally go for an ergonomic mouse. Left handed gamers definitely need to look at this one, as its perfectly ambidextrous design means that you’ve got a top tier gaming mouse to add to your (pretty small) list of options. I have hands sized 19.5/20 & width 11 what mouse should I use and before you say it I have used EC series both 1&2 and I don’t like it. Any recommendations? Thanks! My hands are 21.5 cm long and 11.5 cm wide, is this mouse a good choice? considering my hand size. Might be a bit small for you. I’d suggest the FK1+ for that hand size. My Hands are 19.5cm tall and 10.3cm wide ans I’m claw gripping my mouse. Should I go for the FK1? That should fit, yeah. Provided you like the shape and features I’d definitely say go for it. My hands are 18cm by 9cm. Shoud i choose fk1 or fk2? You’d be fine with either I think. If you prefer ’em a bit larger go for the FK1, otherwise the FK2 should be a solid fit. i wanna buy a new mouse and im interested in buying zowie fk1 plus i just wanna know aside of being 2 sided does it have any special diffrences with ec1 like accuracy or anything else? And how did u like it when using? can it be one of the ultimate choices for playing cs:go? and how much is the size? im not aware of my hands size but before i was using g600 and i had no difficulties. The sensor in the EC1-A is the same as the one in the FK1. There is the EC1-B as well, which has the 3366 sensor (and that’s technically speaking a better sensor, though the 3310 in the A and FK series is very close to flawless as well). Aside from that they both obviously have very different shapes, but internally the EC1-A and FK1 are the same. If you liked the G600 I’d recommend the EC series though. thanks for ur fast response sir. size of my hand is 17.5 cm exactly so do u think fk1 plus is a good choice? or how about ZA series? how do they like? is fk1 plus better or logitech g pro Wired? The FK1 plus is probably going to be way too large for your hands, if you go FK I’d go either FK1 or perhaps even FK2, depending on your grip. The ZA series is very much like the FK series, in the sense that they’re ambidextrous mice and have the same internals, but the ZA has a hump towards the back whereas the FK is a lot flatter. When it comes to performance the FK and G Pro Wired are similar, sensor wise. The FK has an older sensor, but it performs flawlessly 99% of the time (though you can make it spin out by slamming the mouse on the desk at an angle). The FK also has heavier clicks than the G Pro Wired, but that’s more of a preference thing obviously. The shape of the G Pro Wired is pretty different than that of the FK, however. They’re both ambi, but that’s about where the similarities end.